Follow the North Star! Cleanly-Styled, Contemporary Riverfront/Greenbelt Home, Dining/Hot Tub Decks with Fabulous Forest (not river) Views, Short Walk to *Seasonal Neighborhood Beach & Boats. Hot Tub, Central Heat, Gas Fireplace. Short Drive to Downtown Guerneville, Wine Tasting, Golf, Hiking, Redwoods, Coast. Wi-Fi, Landline Phone, Cable TV. Keyless Entry. Your Well-Behaved Dog is Super Welcome! North Star’s entry is up a flight of steps, and the home has three levels. The spacious living room has a dining area and is open to the kitchen in an L with bar seating between. There's a half bath on this floor. The living area opens to the lower deck, outdoor dining, and hot tub. 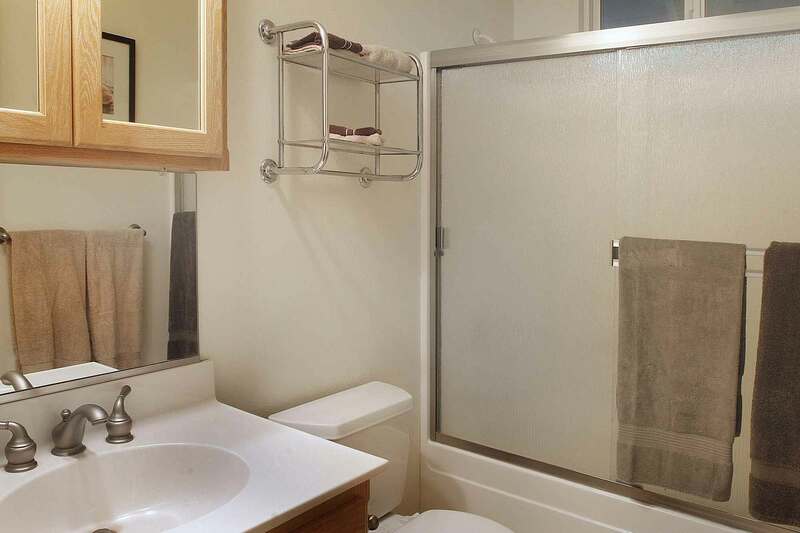 On the second level, there are two bedrooms and a full bath. 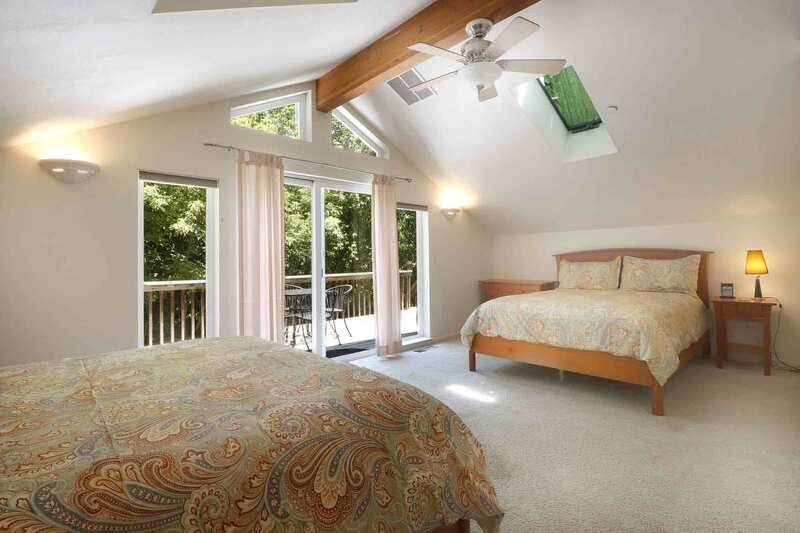 On the third level, there's another full bath and bedroom with its own deck. The upper deck and lower deck are connected by an exterior staircase. From the yard, there are a series of paths to the *seasonal neighborhood beach. This home is approximately 2000sf. Note home is set back from the river by a greenbelt (access by few minutes walk down paths), no river view, and rear yard is densely forested. "Great house for our “Girls Trip!” "
Great house for our “Girls Trip!” Loved being close to the river. The hot tub and grill on deck were perfect. The kayaks aren’t perfect but at least they had a couple to use. Everything was as advertised. It worked out great for us. This home is much larger than it looks online. 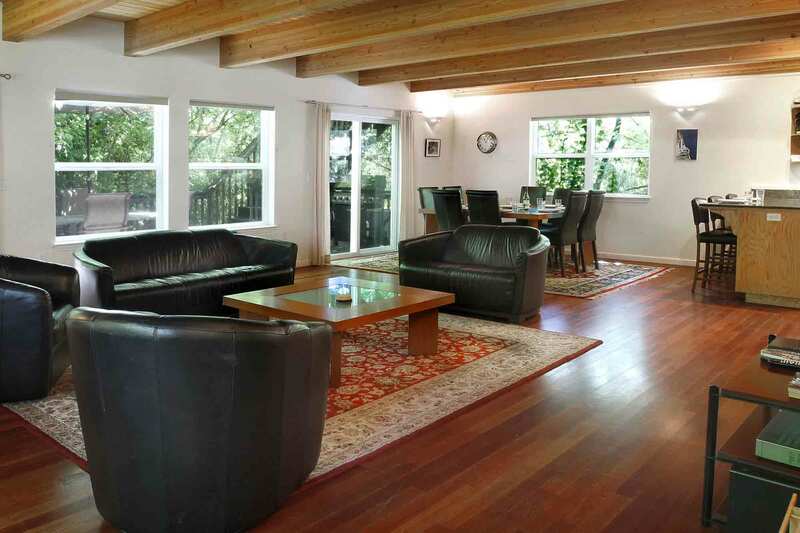 The living area is enormous and there are two large outdoor decks. 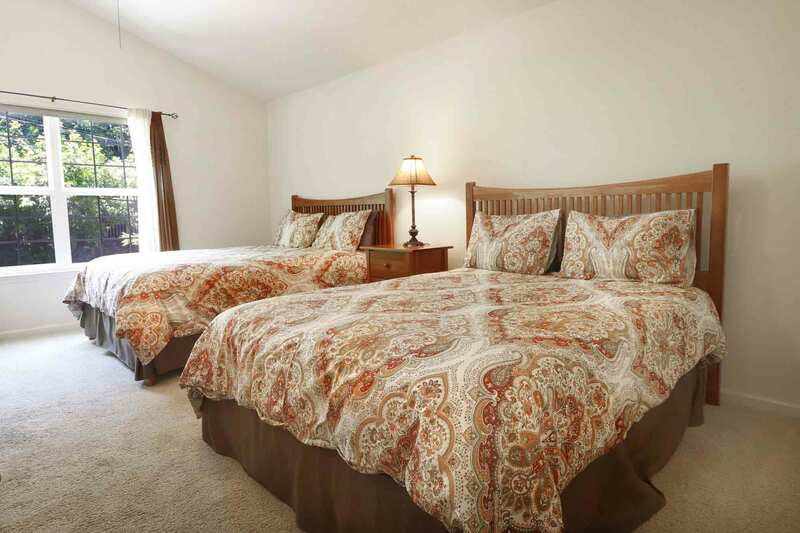 There are also 5 double/queen beds which is unusual for a 3 bedroom. It was a comfortable stay for our guests over a long weekend and we will definitely consider coming back. I would imagine it would be perfect for a couple families. The only thing that was unexpected was that this is not riverfront home. 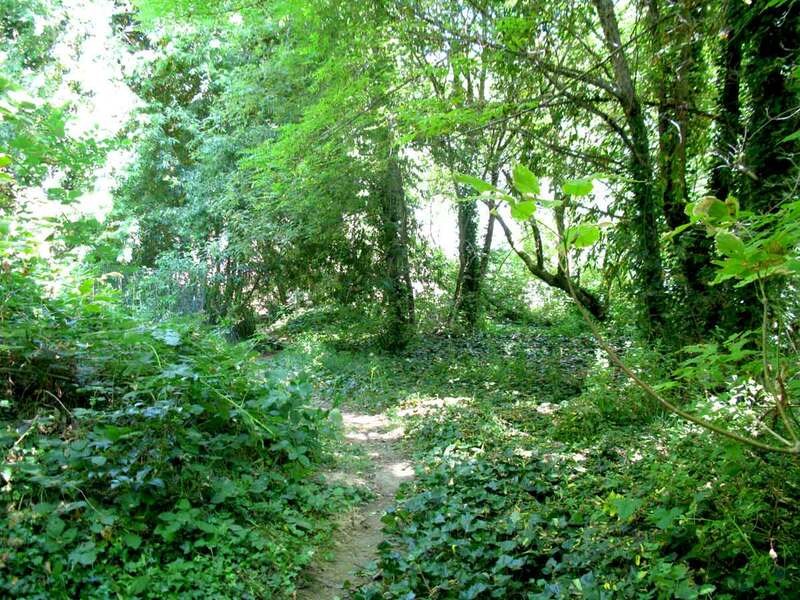 It may technically be on a property that extends to the river, but it is a short walk to the water and beaches. That was confusing based on the search term riverfront that was filtered this property. Checkin and host communication was quick and easy. Nice spacious house for 5 adults. Very comfortable. 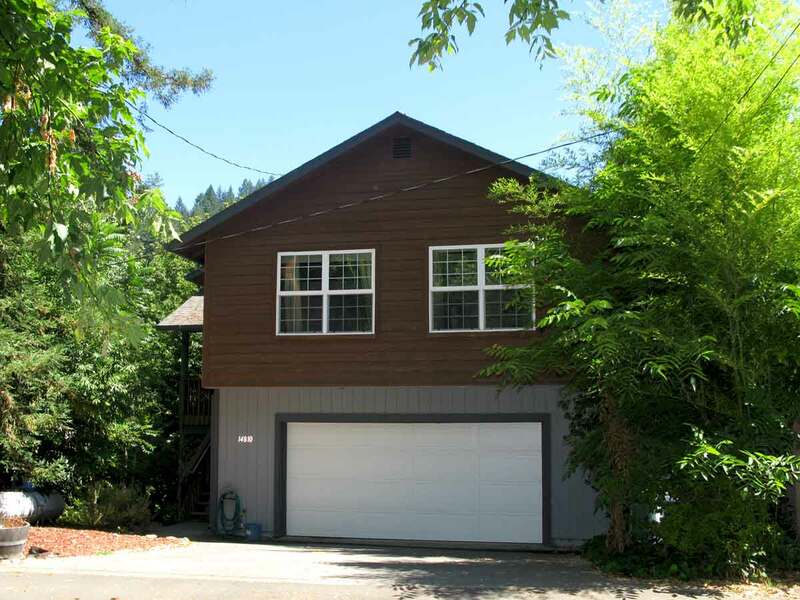 "This house has a lovely location..."
This house has a lovely location, about 1.5 miles from the main strip in Guerneville, situated in a quiet neighborhood with a short walk to the beautiful bend in the Russian river. 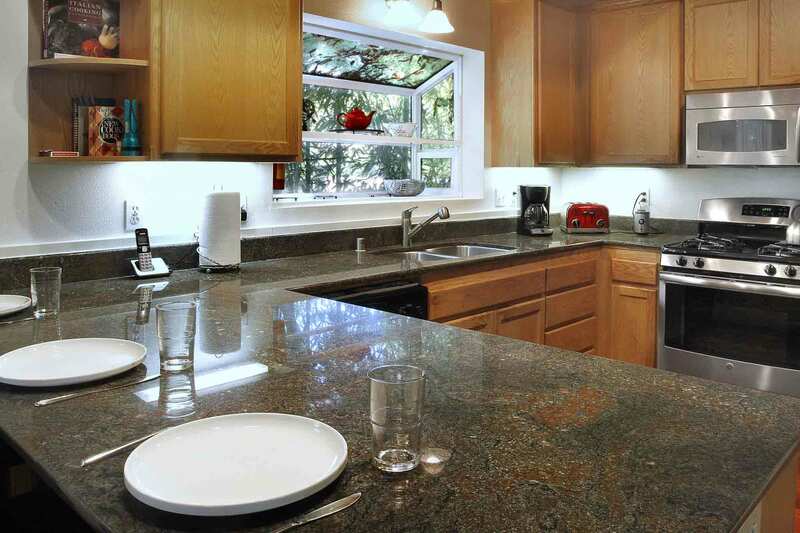 We enjoyed having the kitchen stocked with most basics and the nice decks and hot tub. Thank you! Neighborhood is a little sketchy. Cleaning crew needs to address window sills , porch and deck. House was clean and there is plenty of room for 10 people. River access is close but the beaches are rocks not much sand. 1/2 hour ride to beaches on the coast which is nice. "We had a great time during our stay"
We had a great time during our stay. The open floor plan in the living room/kitchen area are much larger than we anticipated and any questions I had were answered very quickly. Thanks again! "Great home in a great location"
Great home in a great location. The space was clean and tidy, and was the perfect space for my group retreat. I'd highly recommend this home to everyone! 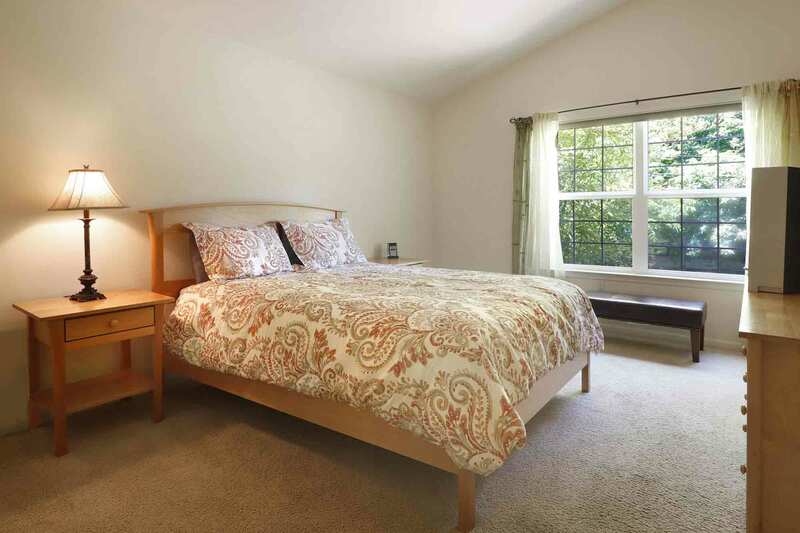 Great location right next to the Russian River. A very comfortable and well stocked house. I loved this place! It was perfect for our group and we had a lovely time. The place is lovely the communication was easy and effortless and I would love to rent this place again! "What a wonderful weekend getaway for a group! " What a wonderful weekend getaway for a group! This house was spacious enough to accommodate a large group of friends, and we absolutely loved our time on the river. 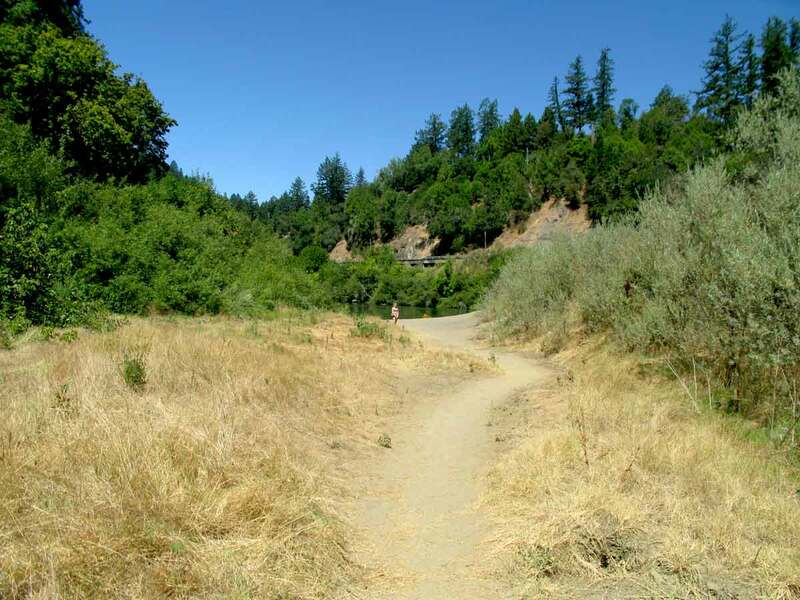 The quick walk from the house to the beautiful sandy beach, right on the Russian River, made our visit as easy as could be—we rolled out of our ample beds and ran down to the River each day! It's difficult to find a place on the river that not only *sleeps* a crew but also provides ample living, eating, playing space to be together (and to be separate from the children at times ;). Everything we needed was at hand with a short trek to the water. A+++ - thanks. Good: Location, size, cleanliness. Bad: - instead of a real person, you'll be greeted by a barrage of automated e-mails from some third party management company. they'll want you to sign an additional contract through docusign, and install some stupid app - all of this is outside of the airbnb platform. - canoe was not usable. We stayed on a family and friends trip and had a blast. Beautiful location close to the river. We rented a van and did Sonoma County wineries, which was great. "Can't recommend this place enough"
Can't recommend this place enough. A pecaeful and tranquil getaway, close enough for a day trip to San Francisco or visiting some nearby wineries, but quiet enough to feel relaxed and rested! Clean, comfy and incredibly accommodating. Beautiful location-quiet, private. We took a pretty walk into town across the pedestrian bridge. The house was spacious and well appointed. We cooked several of our meals there with ease and the flow of the living area was great to hang out in. The hot tub was spotless and a great chill space. Overall, a great place to hang out with a group of friends. The information and updates that was communicated really made this trip a breeze. We look forward to returning in the summer to enjoy the river and all the beautiful surroundings. Thank you! 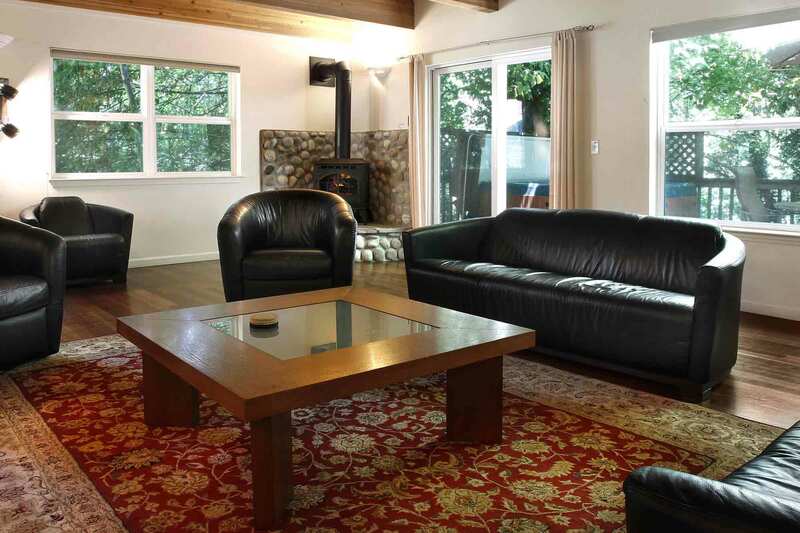 "The house was really spacious and easily accommodated our large group. " 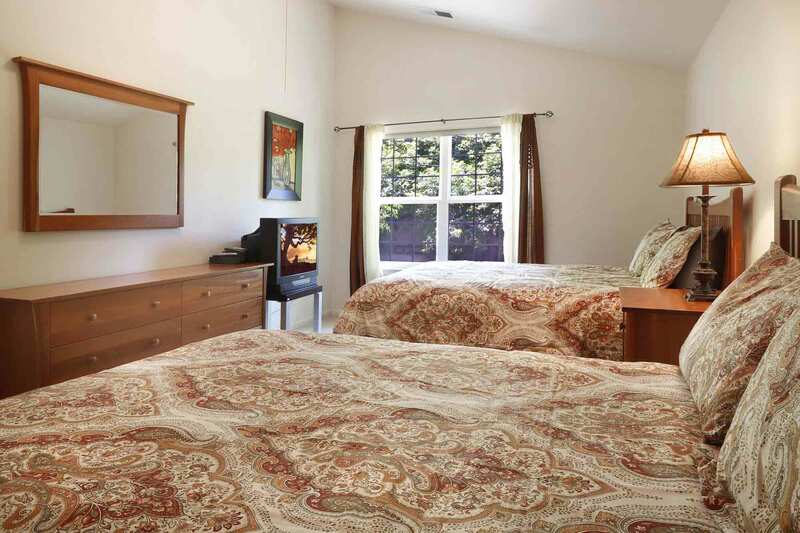 "We really enjoyed our stay in Guerneville"
We really enjoyed our stay in Guerneville. The host was very responsive to questions and the whole process was extremely easy and smooth. The house was great with plenty of space for our group and really nice common space including a hot tub. 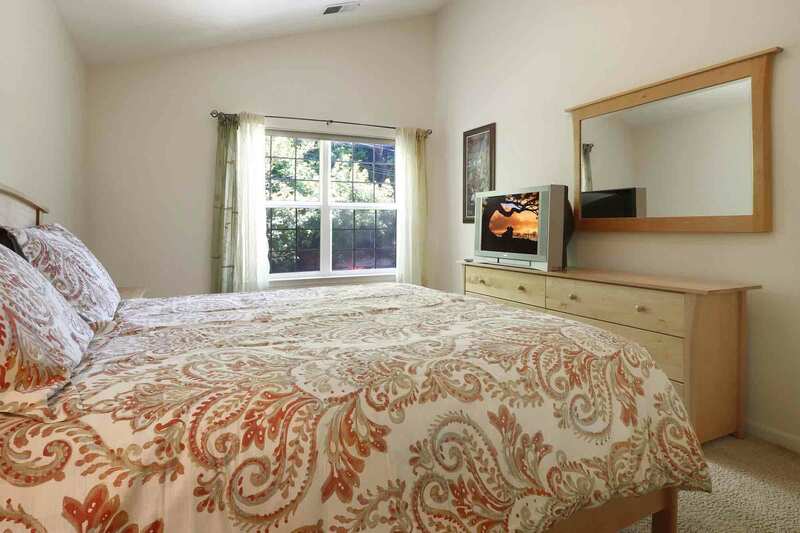 Good access to downtown Guerneville. All and all a really good experience. We rented this place for a group of 6 of us and my dog (a Whippet). 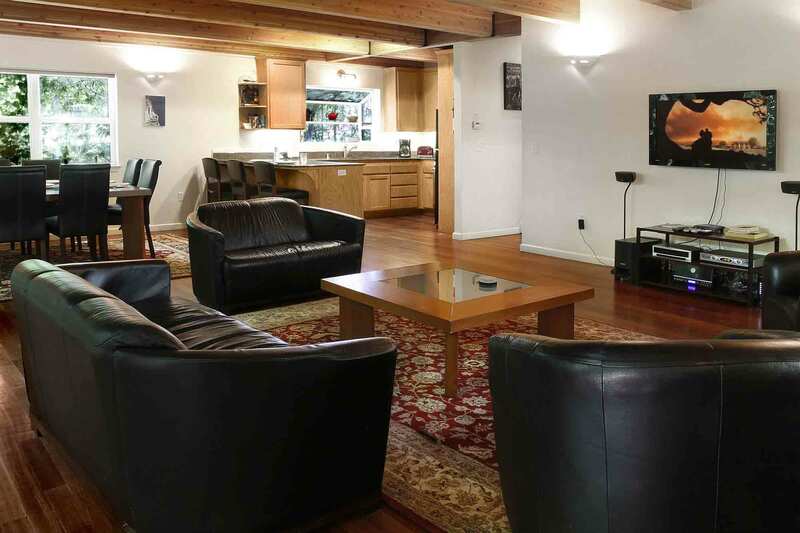 The entire place is very spacious with a large living area and three big rooms (two of them had two beds). Everything was very clean and they had left fresh towels next to the beds which was convenient. The kitchen was small but perfect for cooking what we prepared the two nights we stayed. The directions made the place easy to find (we used Waze) and River Getaways had provided us with a code to get in (much easier than having to deal with a key). We stayed here because it was close to many wineries. The location is beautiful and the view from the deck is fantastic (wish it wasn't raining so we could have enjoyed it). I would recommend this place if you are planning a trip out to Guernville and want to be close to the river and or the wineries. Safeway is only about 10 min away (maybe less). I recommend this place! The host made my stay very easy. It's a short ride from Guerneville in a residential neighborhood and you can walk down to the Russian River from the house. We were there off-season, so we didn't have access to the boats. Clear and prompt communication prior to.our arrival, easy access, great location, great house, very well maintaine. We had a great weekend! Had an amazing time and it's so nice that the river is a 2 minute walk away! "Hot tub was the cherry on top!" Great house for a family get together or group of friends. Short walk to the river in a very quiet and peaceful area. The house was spacious and my favorite part was the wide open living area with the kitchen and dining. Hot tub was the cherry on top! This place was wonderful, I highly recommend it to anyone. The beds were a little on the firm side though. The house suited our needs very nicely for a family gathering. The open floor plan and communal dining table were perfect for group activities. The house was well maintained and the managing office was responsive to communication. We would return with a few suggestions for improvement- 1) common living area is dark despite multiple windows and would benefit from more overhead lighting or floor lamps 2) kitchen is very well furnished but newer pots and pans would be nice 3) requiring all dishes to be cleaned and put back in cabinets before departure to avoid additional charges is a bit fastidious given that we are already paying a cleaning fee. Overall, these minor concerns did not detract from a very pleasant stay. We enjoyed our week stay at Northstar. The house is large with three levels that allow for both private and public space. 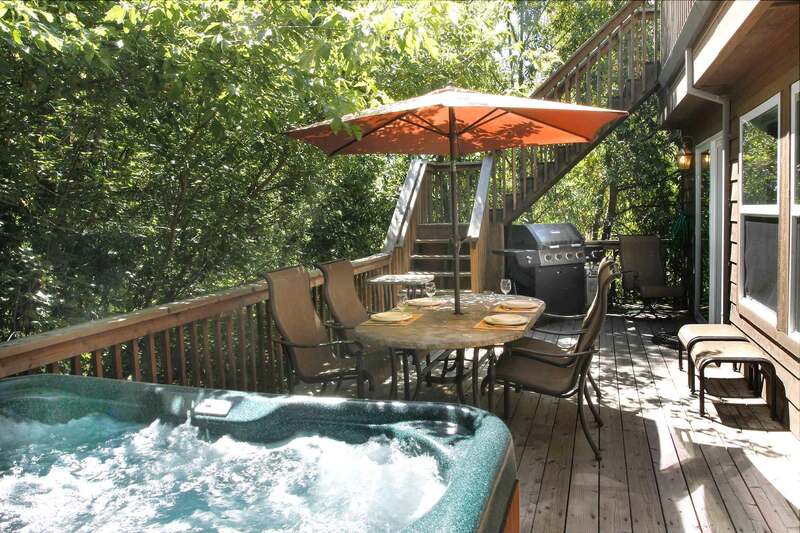 Two decks with lots of foliage insured privacy in this tightly pack residential neighborhood. Beach access is a short walk from the house and we took advantage of the kayak provided. Although there were many water "toys" stored in the garage, many were damaged and a pump was not available for those that were useable. If you plan to cook, be sure to bring your own condiments, foil etc., as the kitchen is not well stocked with those items. You will need a car to get into town; besides the river, the area is residential with narrow streets and driving is required. The house was clean, although the upstairs shower drained slowly until my husband removed the "gunk" in it. Also, the refrigerator door opens on the wrong side making it difficult to get in/out of. Awesome three night visit. Beautiful, well appointed house. Plenty of space and lovely private deck. Kitchen was well stocked with all the gadgets and amenities you need (one note: no coffee grinder, so bring pre-ground coffee). We will definitely be back! "disapointing...feels like we were lied to..."
i just rented this property during the week of July 4th. The house itself is pretty nice- good kitchen (more on that later), decent bedrooms, everything worked, etc. But...there is now view of anything from the decks- which have trees encroaching onto them that very badly need to be trimmed back. the photos probably date from several years ago when the trees were maintained.we also didn't have a basic fry/sautee pan in the kitchen, which is kind of the one pan you need when you're trying to prepare almost anything. i called the rental company twice, and nobody ever took care of it.and lastly, and most importantly- the property is touted as having access to a private or shared beach...the beach is essentially a muddy, rocky cliff, with an unkempt, thorny, uneven, path, which is at some points about 12 inches wide. even if the water level of the river was high enough to make the beach actually something resembling a beach, it would be very difficult for a family with kids to lug all their stuff down an almost non-existent trail. my 2 year old got scraped by some thorns, and had to be carried back up the trail by my wife...why is this such a big deal? because i'm disabled, which i explained to the rental company when we rented the property. So getting down to the non-existent beach was pretty much impossible for me, and i feel like in their eagerness to rent the property, and in the photos and description, the property was mis-represented. so, thus the one star rating. 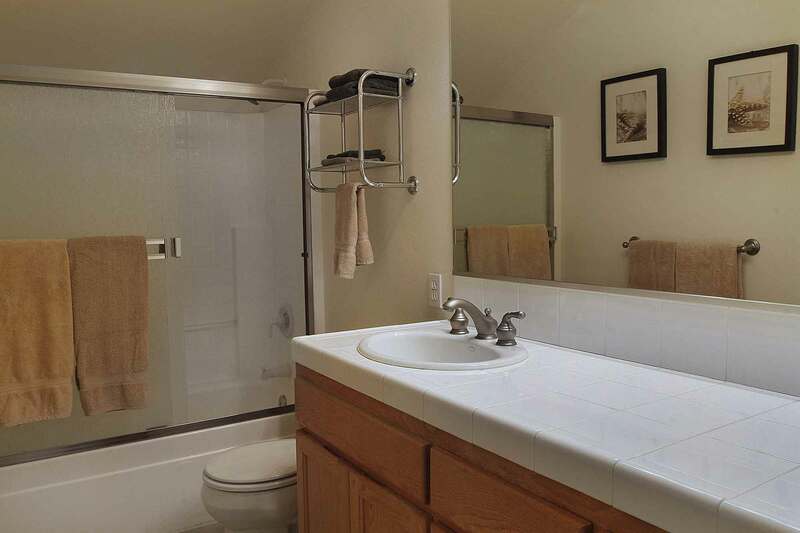 "Nice, Clean, Comfortable House in Guerneville with a Jacuzzi!" Ten of us fit in this home comfortably. The size of the home allowed for plenty of space to spread out. Nice tv, stereo system and a great kitchen for cooking. Two great decks! The Jacuzzi was a huge bonus! Clean and convenient. Was very surprised at how updated and nice the house was upon arrival.Short (5 minute) walk down to a semi-private beach. Kayaks included with the home made for fun water activities during the day. Highly recommend renting North Star if you are looking for a place in the Russian River Valley. North Star is the perfect home for large family get togethers. The main room with the dining area and kitchen combined makes for a perfect social arena. 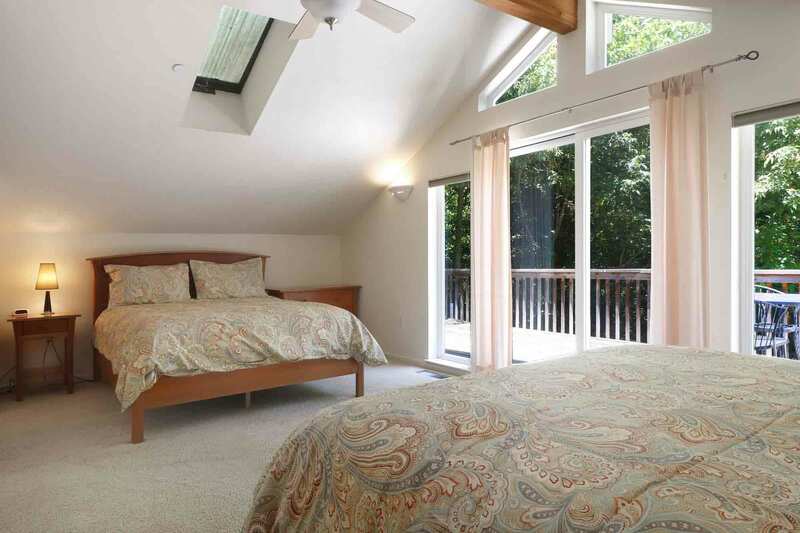 It's such a great location too...far enough away from the little village of Guerneville yet close enough to kayak to! "It was ok for winter, not summer when you want to be on river"
The house was as described. Unfortunately, there were a couple inconveniences during the weekend. 1. The dishwasher did not work. In fact, I checked the circuit breaker, because the garbage disposal also was not working. I found that the switch for those two appliances was in the off position. I turned it on, hoping that it would power on the dish washer; which it did, but the dishwasher still did not work and only made an annoying buzzing sound.2. One of our guests tried to pull into the garage, and the way that the driveway and garage is designed, it makes it nearly impossible to pull into the garage without hitting your bumper on the cement. This actually caused a bit of damage to the car. We still had a ton of fun and tried to not let the inconveniences get to us. Check-in and check-out was easy, and overall our trip was good. The dishwasher has been fixed. If you call us, we will always do our best to make sure things are fixed during your stay, often the same day. The driveway is probably one of those that works well as long as your car is not too low to the ground. I had a group of 10 to hold a retreat during the Christmas weekend and it was awesome. The house is big and there is plenty of room for everyone. Kitchen has everything we need to cook. Hot tub is fantastic. We even had a barbecue with the charcoal grill. I noticed some spider web on the roof so please take more care of that, but overall it's very clean. 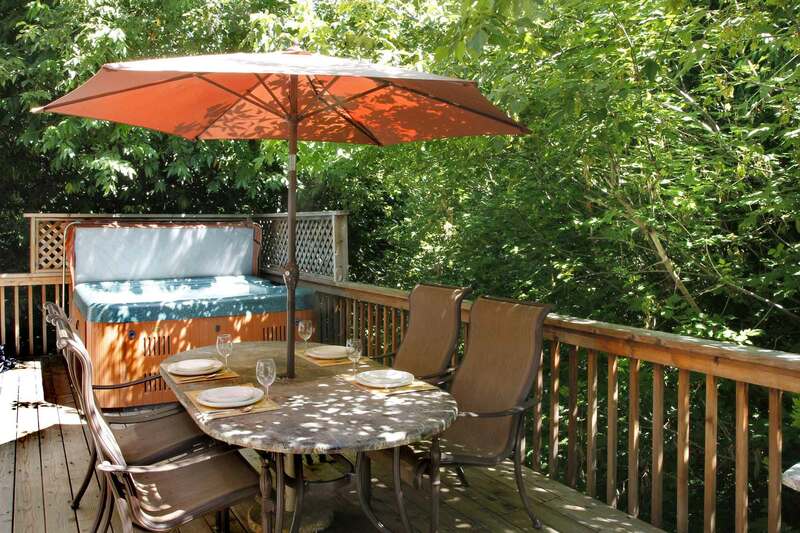 "Quality house and great vacation"
This was our 5th rental in Guerneville, and it was the best so far. The quality of the house, furnishings, appliances and other equipment was definitely a higher class. 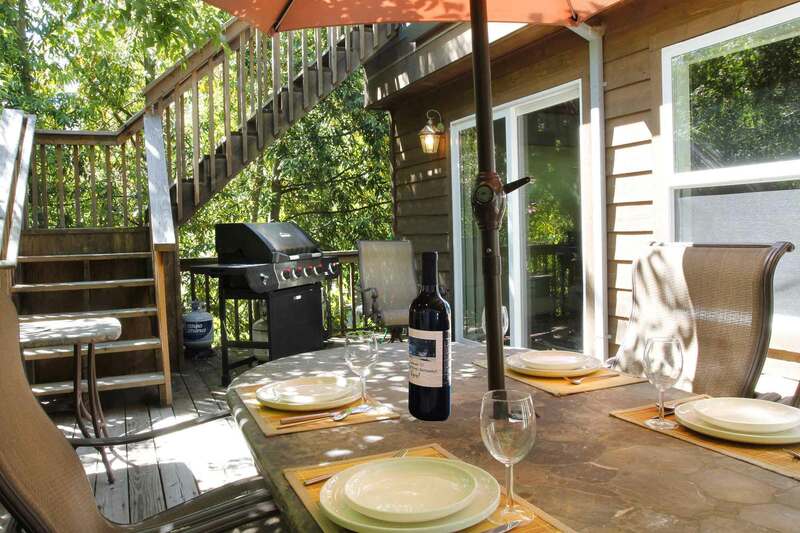 The location is perfect for enjoying the river, with a choice of local beaches, yet only a short drive from Guerneville. If this place can be dog-friendly (which it is), then there's no reason why others cannot. I left a description, on your paper form, in the house, as directed. The house was lovely. But there were several problems that I had cited. "Great house, but wish we had a yard." We were a group of 10. Had plenty of room, the living room was massive. The home was very comfy, the a/C came in very handy. Hot tub, BBQ, appliances all worked fine.The only thing we were dissapointed with was the lack of any yard to roam around in. We ended up going down to the dead end of our street to throw the football around. The hike to the beach was a bit of a walk, which was a bit of a burden while carrying the kayak, cooler, etc.Overall, we very much enjoyed our stay. North Star is an attractive property tucked away off the southern bank of the Russian River in Guerneville and it served as a wonderful base of operations for our wine-tasting experience. 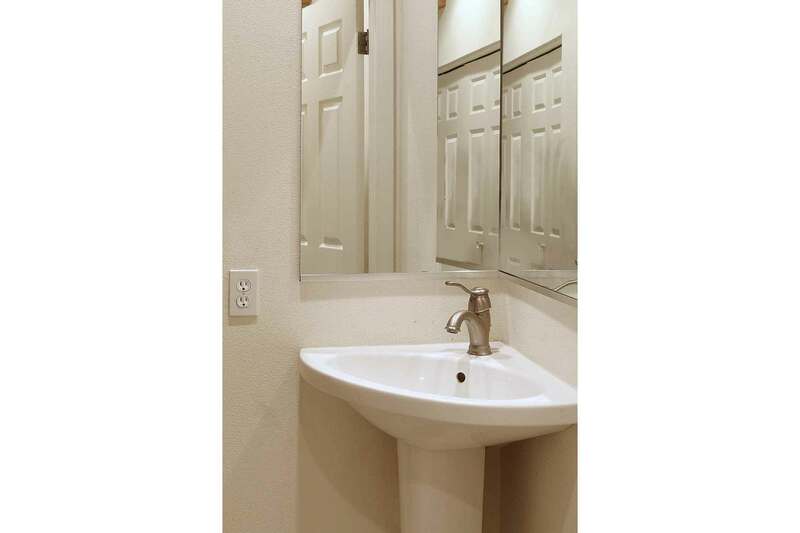 The house was clean and nicely appointed, with great amenities. While the bedrooms don't have a lot of character the beds were comfortable and main living area/kitchen was perfect for cooking and socializing. Great house, close walk to the beach. Great deck and bedrooms. "Nice Location and Over All nice house." "Spacious and fun for families"
The house was very spacious, and the kayak was great. Parking inside the garage was a plus since there were 3 cars for that house.Some improvements: The refrigerator is positioned very strangely. The handle of the refrigerator is right next to the kitchen stove, so when you open the refrigerator, you are very close to the stove (if the stove in on, you have to be careful). Also, the refrigerator was leaking from the inside, so we had to call the mgr. to make sure they knew it was like that when we rented the house.The other thing is that the bathrooms did not have bathing soap. I have stayed at other Russian river homes and they have provided soap for the showers. For the price we are paying, they could throw that in.The Bar-b-q was not working, according to Russian River Getaways, who called to tell us that. They should have had it fixed when we rented the place (they knew it was in that condition from a previous renter). Otherwise, our experience was very good. Thank you so much for the feedback. We did know the grill was broken and we called to ask these guests if they planned on grilling; if so, we would bring them a charcoal barbecue for the weekend since we could not replace the gas grill in time for their arrival. They told us they did not plan to grill. The new gas grill was assembled and in place for the next set of guests. "Great house for girls weekend"
This is a beautiful, modern house that comfortably sleeps ten. Check-in was easy, the house was private with nice furnishings, nice linens, great entertainment room. My party and I loved the secluded location, the large open common area, the decks, hot tubs, etc.. Easy walk to the river (although quite strenuous pulling the two-person kayak back to the house!). Some members of the party felt the beds were too firm, but I like them that way. The BBQ grill was terrible!!! The ignitor was broken, the gas lines clogged with grease and it wouldn't light for thirty minutes even with a long match. I had to remove the grates and use a flaming paper towel to get the gas to catch. Then it burned unevenly and left the food raw or black. Would have preferred a basic charcoal weber. I had planned a BBQ dinner for ten and had no choice but to use this broken piece of crap.The house sleeps ten, but only has room to park five cars (we had people coming from all over), neighbors came to door to complain about car in front of their house. Garbage cans were missing, neighbor said probably stolen. Would have liked to check out with a human being, but had to drop keys at a closed office.The long list of rules and possible fines is understandable, but put me on edge as I was the host and my name was on the bill. I was terrified of breaking one of their countless rules and it did distract me from trying to enjoy a relaxing weekend. The house itself is beautiful, and the Russian river is a great place to spend a few days. Would have liked to stay longer! Sara, we wish you had called us about the grill as soon as you noticed the problem. We would have delivered a Weber and charcoal right away. At any rate, we're installing a new gas grill this weekend and we're so sorry it was in such miserable condition. As soon as we get a report of this kind, we take care of it immediately. And, of course, we regret having to have so many rules, but trust me we have learned the hard way that they are all necessary!